"At the start of pre-production, Coppola handed Canonero a box of pastel-coloured macaroons from the Laduree pastry house. "She told me, 'These are the colours I love'," recalls Canonero. "I used them as a palette. Sofia was clear about the colouration, but left the rest to me. We squeezed the essence of the period, without reproducing it. Even if you think you know a lot about it," she argues, "you always have to look for a new angle. I simplified the very heavy look of the 18th century. I wanted it to be believable, but more stylized." 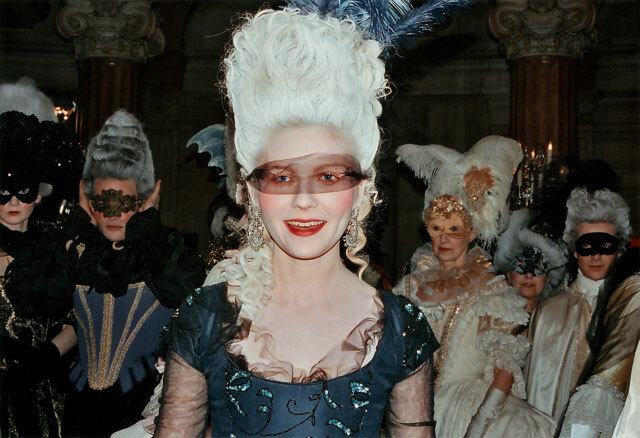 "The biggest challenge facing Canonero was the sheer volume of costumes involved in staging three operas - Marie Antoinette was a keen and accomplished amateur performer - her wedding to the Dauphin, his coronation as Louis XVI, plus gambling and party scenes. "To dress and undress so many people is incredibly challenging. It's rare to make a movie these days that spans 20 years of a very grand life." The bulk of the clothes were made in ateliers in Rome's Cincecitta studios. "I started by throwing pieces of material of Kirsten to see what colours suited her best. I hardly used wigs, because they weren't right for her We thought that maybe we could have gone more crazy, but there was just not time." 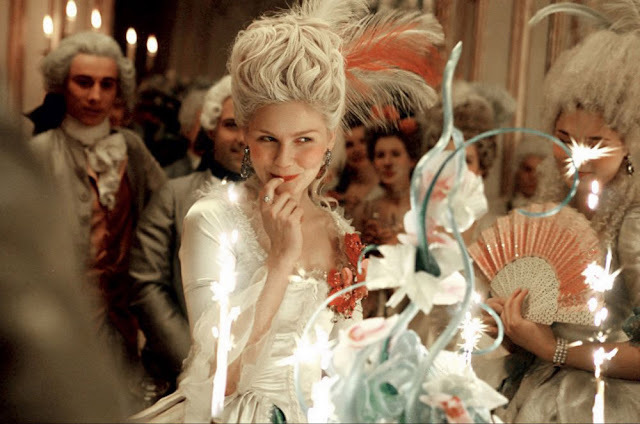 "For Madame du Barry, "the rather vulgar mistress of the decadent King" (Louis XV, Marie Antoinette's grandfather-in-law), Canonero wanted a totally different look from that of Marie Antoinette. "I dressed her like an exotic bird, in contrast to the rather naive, innocent queen-in-waiting." 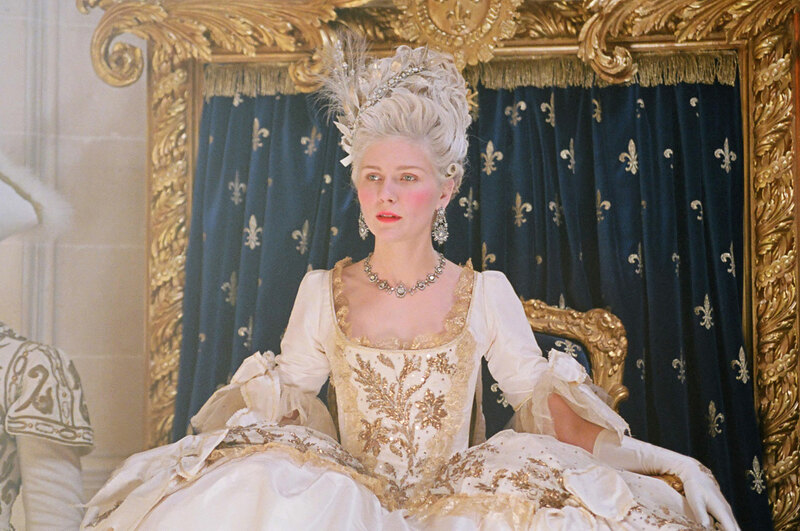 theres a stately home near where I live and it reminds me so much of Marie Antoinette as it has a little lake and I always think what pastel colour would I wear to go 'rowing', I decided lemon whats yours? LOVE the movie and also love the costumes in it! yeah this movie is really cool i love the soundtrack tooo!